Welcome to Theokritos Travel Your first port of call to discover everything you need to know about Kos and the surrounding Dodecanese Islands. Is recommended for a sound and professional service, offering a wide range of facilities and information, the details of which can be found on the following pages. A well established small business, recommended by many who visit the island time and time again. Having had 40 years experience between us working with tourism on the Island we like to prove to all our customers we are second to none. It is for this reason myself, Louise and my husband Nikos are totally committed year after year with helping all our customers. We firmly believe that our success after 17 years of running our very own small business in Tingaki is down to our enthusiasm, trust and full commitment to all our customers. Transfers: Our very own coach transportation. We can arrange for groups to be transferred to and from airport or the port. Sight-seeing: Trips and Tours in and around the island of Kos. 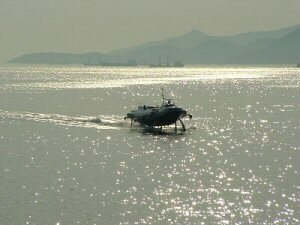 Trips include island hopping, diving fishing trips to name just a few of what we have on offer. Our very own weekly program is set in April each year and is run until the end of October. Car Rental: We can offer and arrange carhire at very competitive prices. The vehicles range from small 5 door air-conditioned cars, saloon type cars for those wanting something a little bigger and jeeps. Our rates include full collision damage waiver, unlimited km, delivery & collection, baby seats if requested. Island Hopping: We can help you plan an Island hopping trip of your own, tailored to suit yourselves, at your own pace and in your planned time. As Kos is surrounded by so many very different islands within the Dodecanese it is easy to use Kos as a base. We can help in advising the latest ferry boat times to and from the many islands.We always recommend you spend the first day and the last 2/3 days on the island of Kos before flying home due to windy weather boats can be cancelled and you wouldn't be in a good position stranded on a tiny island for days when you should be back at work! Just contact us or come into our office and we will do our best to help you. 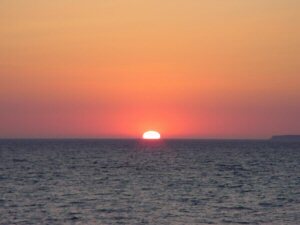 Special Interest Groups: We have much to offer on the island of Kos. A number of students and different clubs/groups who like to get away and visit a place of interest to them. It could be doctors wanting to find out more about the Father of Medicine Hippocrates, bird watching groups, Geologists interested in the Blue Volcano in neighbouring Nissyros. 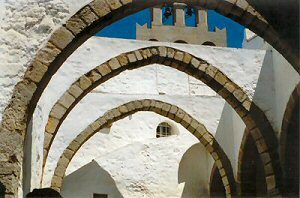 Religious groups often want to visit the Holy Island - Patmos. 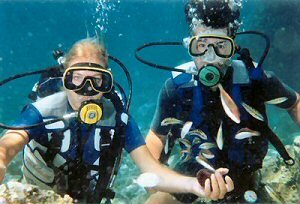 Diving clubs wanting to visit and discover the underworld in and around Kos. Whatever your interest may be just contact us and we will do our very best to help you in arranging a group holiday, including special rates for accommodation and transfers to and from the airport.